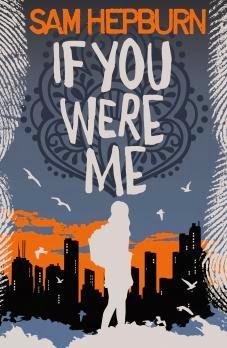 I really enjoyed If You Were Me by Sam Hepburn. It was a fast-paced, exciting and tense thriller and I was hooked into the characters and the danger throughout. If You Were Me is told from a dual-perspective. There's Aliya, an Afghan girl, who has fled Afghanistan with her mother and brother after they are all put on the Taliban list. The opening scene is of Aliya and her family narrowly escaping and driving off with people hot on their heels. It was dramatic and emotional and I thought it was a great way to start the book and introduce us to these characters and the story line. The rest of the book takes place only weeks afterwards after Aliya and her family have taken refuge in England. They are placed in a grotty council flat and are attempting to start over with their lives. But things take a turn for the worse when Aliya's older brother is both injured and accused of terrorism when a bomb goes off. At the same time, we also see things from the perspective of Dan, a boy who lives locally, and who comes into contact with Aliya and her brother Behrouz while helping his father with a plumbing job. He's pulled into the dangerous situation because of the fact that he finds a gun in Aliya and Behrouz's apartment and that he has witnessed something potentially very bad that he thinks his father might be wrapped up in. If You Were Me is an incredibly tense thriller. Aliya is determined to clear her brother's name. Dan is determined to find out the truth once and for all about the criminal activities his father may or may not be involved in. Both are set on finding out answers and are holding other things back from each other when each other is all they really have. There are a few things that I liked most about this book. The first is the action and excitement that builds throughout this story as Aliya and Dan dig further into this terrorist attack. The twists that unfold, the secrets that are uncovered, the extent of the evidence against Behrouz. It all makes things very exciting and I did feel on the edge of my seat hoping for the best but knowing things were going to get worse before they get better. I really cared for all of the characters. I really loved Aliya's character in particular. She's new to England and while she speaks English very well, there are also so many different cultural differences both to the language and way of life in England that are shown throughout her experiences during this book. It was interesting to see what sorts of things confused her or made things difficult for her. And another thing that really stood out for me in this book is this element of terrorism and the way in which it changes everything. Behrouz is from Afghanistan and that seems to be all that is needed to cement in everyone who's come into contact with him the belief that he could have carried out this attack. Despite how honest and honourable and good of a person he is. Despite his record of helping the British army and despite the fact that he would not be supporting the Taliban when they've so recently tried to murder his entire family. Despite common sense that shows he'd have had no time to carry out a planned terrorist attack when in the country such a short period of time. I really felt for Aliya and Behrouz in the way in which they are pigeon-holed in this way. All in all, I really enjoyed If You Were Me by Sam Hepburn. Tense and interesting.